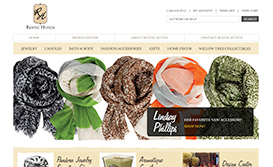 Fort Wayne-based Rustic Hutch has been locally owned and operated since 1974. 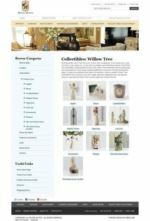 In that time it has grown from a small, local store to a large, well-known, Midwest brand for gifts, home décor, and furnishings. 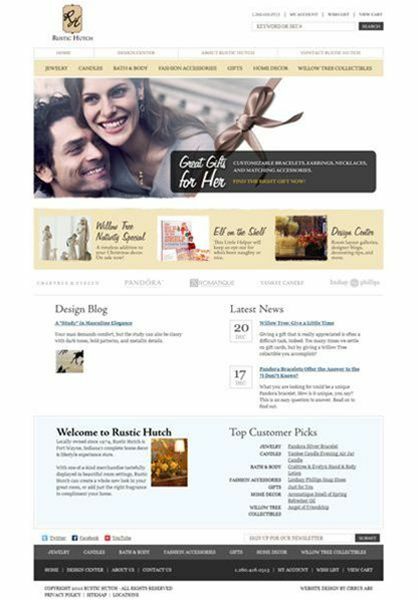 In order to further expand its consumer base, Rustic Hutch needed to establish a significant Web presence. 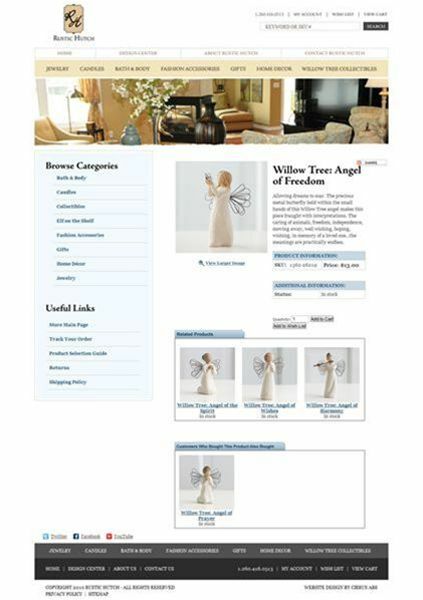 For that, Rustic Hutch turned to Fort Wayne Web design and development firm Cirrus ABS. 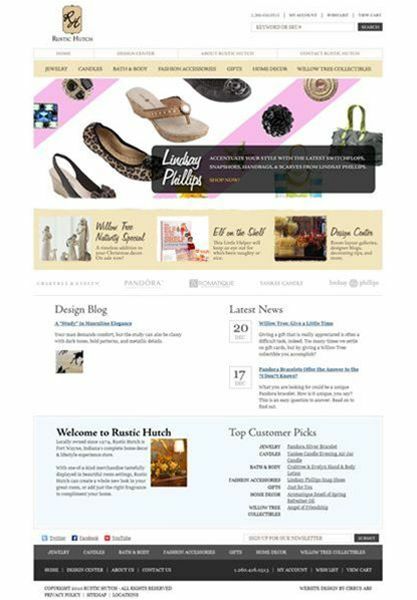 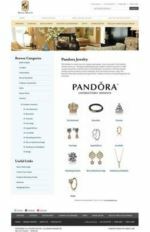 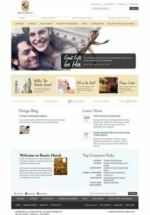 Cirrus designed the site using its powerful eBusiness Suite Platform, and also integrated an eCommerce solution that allows Rustic Hutch to sell and promote its products online. 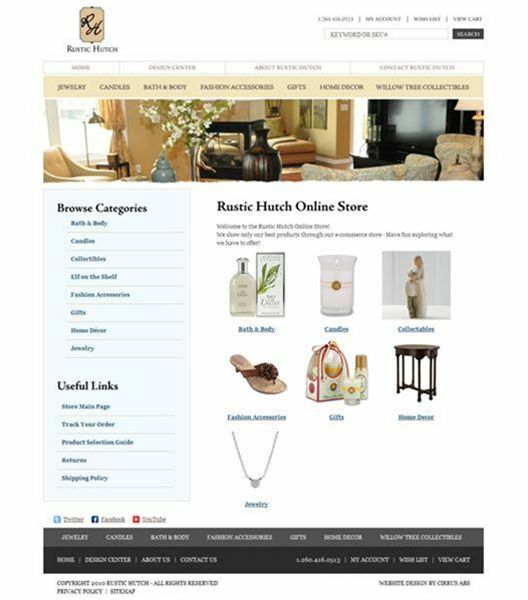 In addition to selling its products, Rustic Hutch is also able to track inventory and streamline its business process. 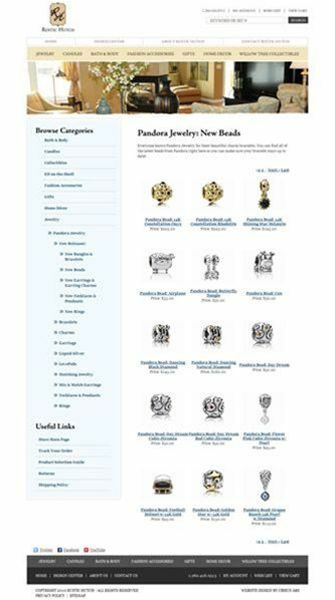 The secure online store provides a unique shopping experience that draws customers on a national level. 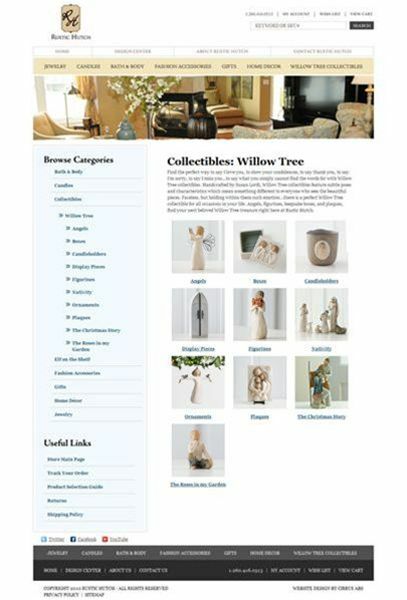 A unique design center lets Rustic Hutch share design ideas and showcases its featured home and store highlights. This combination of a simple, attractive site with an easy-to-use and efficient online store gives Rustic Hutch a competitive advantage in its market niche.